What's The Most Haunted Place You've Ever Dared To Visit? What creepy place, tale, bit of folklore, or haunted happening scared the bejeezus out of you? 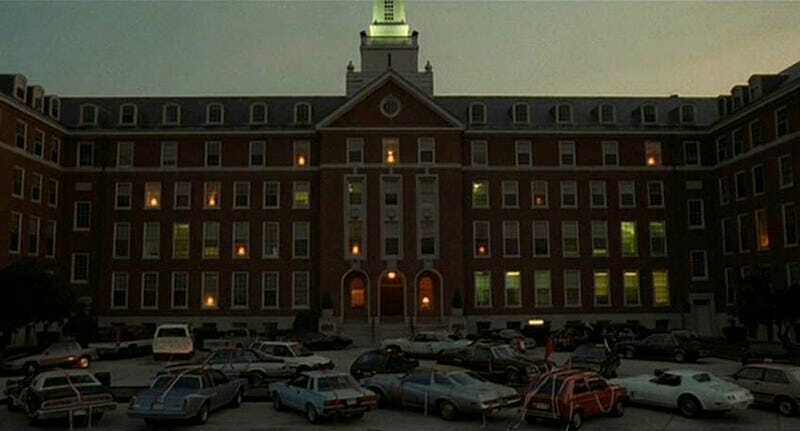 One place that scared the living crap out of me was Maryknoll College/Seminary located in my hometown of Glen Ellyn, IL. The gigantic campus was built was built in 1949 for young Catholic seminary students, but it was eventually converted into a law school until it failed and was abandoned. And that was how I came to know it, as the empty labyrinth of vandalized religious iconography. The rumor was that various cults would meet there at night and perform all sorts of chill-inducing acts. But the biggest scare was the ghosts. The whole place was alleged to be haunted, and there are countless accounts of spooky run-ins, specifically with a ghostly priest who would brush up against people as they wandered the halls. The closest I got to this building was half in a broken window. I wasn't even inside when my friend started screaming bloody murder. Apparently a light had turned on in another part of the building (which was impossible as the electricity had been long turned off) and we decided to run the hell away (also because the cops patrolled that place all the time, dang youths). In 2000 Maryknoll was torn down to make way for more suburban homes, which is totally not going to Poltergeist everyone in the future. I'm not scared of much, but I would never, not ever, buy a home built above this place. It just gave off a "bad vibe." What's the scariest place you've ever been to (or in my case near) in real life? Here are the stipulations: it has to be a thing that you (at one point) believed to be completely true (or at least that there was some grain of truth to the story). And please include a picture if you can find one. Image from the film Lucas via It's Filmed There.